Blonde Ale with strawberries added to secondary fermentor. Spontaneous secondary fermentation & aging in an old Heaven Hill bourbon barrel with Lacto, Pedio, and Brett. Aged for 1.5 years. Pours a typical gold, racing streams of champagne carbonation. Head fizzles out quickly, leaving random spotty lacing. Not much to differentiate it from the next beer, aside from the racing bubbles. Aroma of tart lactic yogurt, mild funkiness, the odd wet wood and sterile gauze Brett notes. Fairly clean and lactic otherwise. Flavor was pretty tart and dry, though not especially complex. Tasted like biting an underripe green strawberry, not fully developed. Juicy, puckering. A little watery and it fades too fast, though it's nice and quenching. A fairly basic sour ale, though it's enjoyable. More time in the barrel would probably do it some good, hopefully boost the complexity. Edit: After 3 pours at the Great Taste, it seemed even more crisp and dry, definitely with more "mature" complexity. A very nice summertime quencher. Growler opened at Woodshop, thanks! 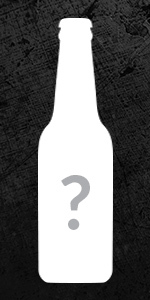 A: The beer is hazy blond in color with half an inch of creamy froth that recedes in under a minute. S: The aroma is bursting with strawberry. The fruit smells great and is much more robust than I expected. Lactic notes blend with hay and oak. T: The flavor exhibits a moderate tartness that melds with drying oak and a strong strawberry profile. The fruit is really nice. The medium level of sourness is lactic in character and fairly clean. I get a hay, grain, and earth. There's a dash of leather with more pronounced notes of oak and a whisper of lemon. M: Light in body with high carbonation. Overall: Though not an overly complex beer, the fruit is good enough to make this quite enjoyable. Fliptop bottle courtesy of Adam. Thanks! A: The beer pours a pale yellow color with a finger of white head. S: Unlike some other strawberry beers, the fruit actually comes through on this one. Nicely tart with lots of berries and a hint of vinegar. There's a light grassy funk with some lemon peel and a touch of oak. T: Quite woody with plenty of strawberry and lemon flavors. A touch of vinegar to go with the lactic acidity. Mild earthy funk, mostly grass and straw, with a light mustiness. M: Fairly light bodied with medium to high carbonation. O: Really a nice beer. I was impressed by the amount of strawberry and the tartness was excellent.